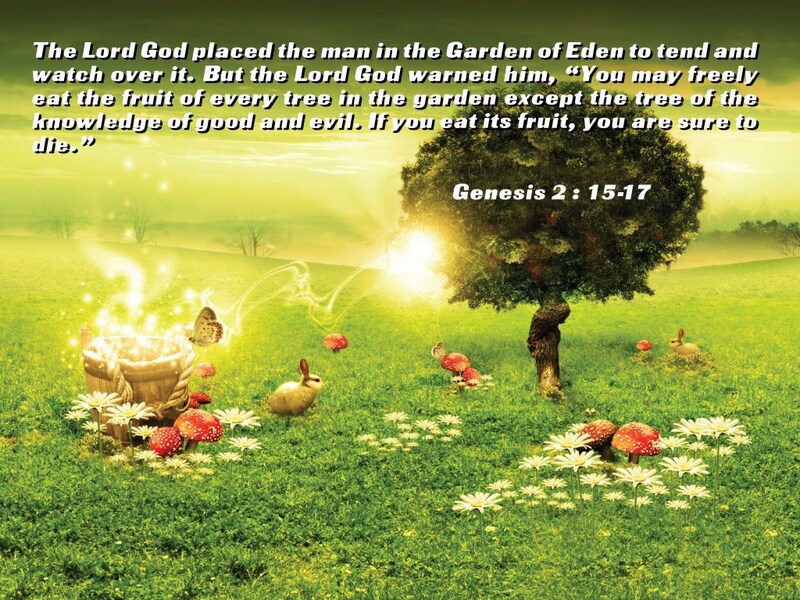 Adam and Eve could eat anything they wanted in the garden, except from the tree of good and evil. If all was good and everyone and everything- man and animals- got along and didn’t eat each other then why was the tree there? This is one of many questions I have. Add that to if the tree wasn’t there then maybe the serpent didn’t have to be there and all would still be peachy keen right? Did God have to put the tree of good and evil there? No, of course not. He did give us free will and with that free will comes choices. Do I or don’t I? If I do what is the consequence? If I don’t what is the consequence? Do we all ask ourselves before we do anything what would Jesus do? I know I do not. I know I should. It would stop a lot of dumb things I have done. Here is another way I think about it. In school we are given tests. We are given opportunities to study before the test. I can either study or not study. I can study a lot or a little, or none at all. My grade will depend on how much I study. I don’t want to fail so I study. Yet, when it comes to God I find myself skipping school. I find myself making a choice to not study God’s word. I find myself relying on me more than on God. But I reach for God’s hand and He pulls me up and brushes me off and gives me another chance. So back to the tree of knowledge of good and evil. If we don’t eat from that tree that God didn’t have to put there then we will rely on God for what is wrong and right. If we do eat from the tree then we take it upon ourselves to know what is wrong or right. We are saying we don’t need to rely on God because He said if we eat from it certainly we will die. But we didn’t die in the way of dying , no more breathing. We died to relying on God. We died on the inside. I am not a theologian but in my layman terms and what I think is that God put the tree there to give us a choice. He doesn’t want us to be robots. Because He gave us free will he gave us freedom to choose. Adam and Eve chose wrong. I choose wrong. I eat the fruit and sometimes I go back for seconds. Did God have to build the tree? No. Did God want us to turn away from sin and rely on Him? Yes. What I need to start doing is walking away from the tree. I need to quit reaching for that apple. I need to say no thanks, I am full of making my own choices. I need to starve myself from bad choices and start making healthy choices. I don’t know about you but I know I can use a little less knowledge of good and evil and a lot more of relying on God. What choices have you been making? Do you rely on God or on yourself? The wonderful thing about God is His grace and mercy that He gives all of us another chance every day to choose again. This is a simple yet good and thought-provoking post. This is a great post. I remember first coming to Jesus and learning how to starve my flesh of the bad and feed my spirit with the Word. It changed my life! Be blessed!